One of the most anticipated films this year is the film adaptation of author David Mitchell’s expansive fiction novel Cloud Atlas. The new film is a very ambitious one especially since the source material has a depth and breadth that is a gargantuan challenge to put on screen. To fully control and steer such an ambitious film project, three directors decided to pull their talents together to make the movie – Tom Tykwer and the Wachowski Brothers. Tykwer is known for his wonderfully kinetic German film Run Lola Run, and the Wachowskis have already indelibly left their mark in fans’ minds with The Matrix trilogy. But the term “Wachowski Brothers” may have to be officially retired being that one of the “brothers”, Larry Wachowski, is not officially a man anymore. The director has successfully completed his transition to a woman and is now known as Lana Wachowski. A short clip was released where the three directors animatedly talk about the movie and their challenges in making such a huge project. 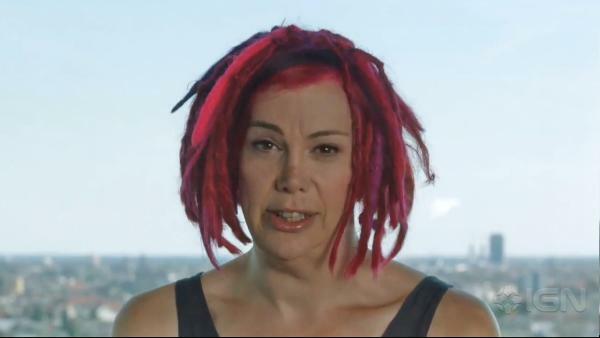 This is also officially the first video where Lana Wachowski has officially appeared. Truth be told, Lana’s appearance pulling some of the attention intended for the movie towards her because she is the first truly well known Hollywood director and celebrity who has completely transitioned. The media interest is, thus, well justified. People will surely see the themes of rebirth and transformation that was present in Cloud Atlas and think that these are the same themes that could have attracted the directing siblings, especially Lana.